UK Prime Minister Theresa May announced on March 14 that 23 Russian diplomats had a week to leave the country, blaming Moscow for Skripal's poisoning. The former Russian intelligence officer and his daughter were found slumped unconscious on a bench in Salisbury after being exposed to what UK experts have said was the Russian-developed military-grade nerve agent Novichok. Russian officials have denied the accusations. Earlier this week, Russian Foreign Minister Sergei Lavrov stressed that Moscow was ready to cooperate on the probe but needed to look at the samples of the substance in question. On March 4, Sergei Skripal, who was accused of espionage on behalf of London and later granted asylum in the United Kingdom after a US-Russia spy exchange, and his daughter were found unconscious on a bench at a shopping center in Salisbury. 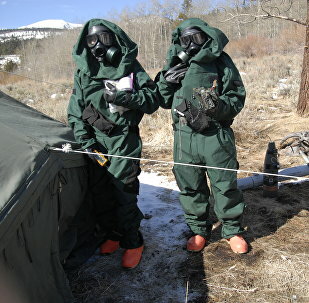 Both of them remain in critical condition and are being treated for suspected exposure to a nerve agent. 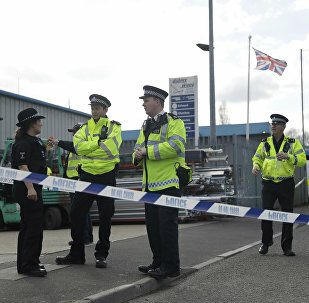 Britain and its allies continue to blame Moscow for being behind the March 2018 attack on former Russian intelligence officer Sergei Skripal and his daughter with what UK experts claim was the A234 nerve agent, although the accusations have not been substantiated. Russian authorities vehemently reject the allegations as groundless. MOSCOW (Sputnik) - About 100 counterterrorism officers remain in the UK city of Salisbury following the March poisoning of former Russian intelligence agent Sergei Skripal and his daughter, the Metropolitan police said in a press release. MOSCOW (Sputnik) – Russia is ready to provide all necessary assistance to Yulia Skripal, the daughter of former Russian spy Sergei Skripal, in order to facilitate her return home, Deputy Director of the Information and Press Department of the Russian Foreign Ministry Artyom Kozhin said Friday. Salisbury doctors have told BBC’s Newsnight that former Russian intelligence agent Sergei Skripal and his daughter Yulia survived due to the experts from the UK’s Porton Down Laboratory. Sergei Skripal, a former Russian military intelligence officer, secretly visited Prague in 2012 and at least once met with Czech special services in Britain. MOSCOW (Sputnik) - The Organisation for the Prohibition of Chemical Weapons (OPCW) confirmed to Sputnik on Tuesday that the organization's director-general, Ahmet Uzumcu, was tricked by Russian pranksters into discussing global chemical weapons incidents over the phone. MOSCOW (Sputnik) - UK Defense Secretary Gavin Williamson has pledged to deploy 192 service personnel to assist in decontaminating potentially affected sites in the UK town of Salisbury after the poisoning of former Russian intelligence officer Sergei Skripal, the Defense Ministry said Monday. The high-profile Skripal case remains to dominate the global agenda after the UK led a number of Western states to expel Russian diplomats without providing any evidence of Moscow's alleged involvement in the poisoning of the former spy and his daughter in early March. 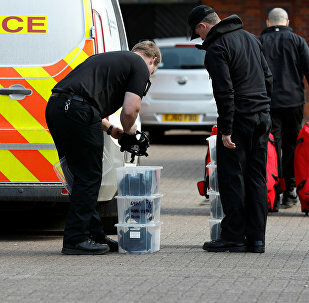 MOSCOW (Sputnik) - The Salisbury police station site, ambulance stations at Amesbury and Salisbury and the Maltings Park, which were the sites of the alleged chemical attack on Sergei Skripal, will be reopened in 2 months, the communications officer at the UK Department for Environment, Food and Rural Affairs (Defra) told Sputnik on Tuesday. MOSCOW (Sputnik) - Clean-up work is beginning in Salisbury, which was the site of the suspected nerve agent attack against former Russian spy Sergei Skripal and his daughter Yulia, the UK government said on Tuesday. In March, Skripal and his daughter Yulia were found unconscious on a bench at a shopping center in the UK city of Salisbury. About a month later, the hospital announced that the ex-spy was no longer in a critical condition. MOSCOW (Sputnik) - Almost half of UK residents (46 percent) approve the steps taken by the country's Prime Minister Theresa May amid the poisoning of former Russian intelligence officer Sergei Skripal, a poll showed on Sunday. 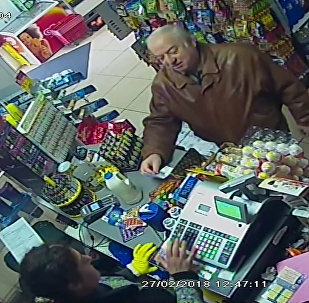 London's case against Moscow over the Salisbury poisoning of a Russian ex-spy and his daughter continues to unravel. Sputnik looks at the top three odd new details in the affair.